IFCS shares and supports the principles of sport as mentioned in the Olympic Charter, and follows them in its activity. Everybody can go in for cynological sports out of dependence of racial, national and religious belonging and the breed of the dog. The competitions with limitation of participation by reason of breed of the dog, availability or absence of pedigree documents and also pedigree registration in any kennel-club can not be considered as sport. Cynological sport is a part of world culture. Sport in general and cynological sport in particular plays considerable social role. IFCS and its members are guided by the principles of fairness, equal rights, acceptance of cultural variety and the mutual respect. We respect cultural traditions of every country and support development of national kinds of sport with dogs. The basic principles of our integration are fixed in the Declaration of Sport Cynological Movement, which is signed by organizations – participants of the movement (see below). We, representatives of sporting cynological organizations of different countries and continents, are enunciating basic principles of the international sporting cynological movement and by signing of this Declaration guarantee their observance. 1. We are share aim and purposes of international sports Olympic movement. 2. We declare the inclusion of cynological kinds of sport into the program of the Olympic Games as the main goal of our co-operation. 3. Every person has the right to go in for cynological sports out of dependence on racial, national and religious belonging and the breed of the dog. 4. 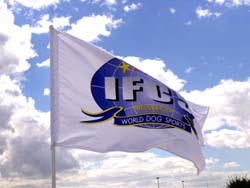 We are of the belief that nobody has the right to limit the participation in sports cynological competitions by reason of breed of the dog, availability or absence of pedigree documents and also pedigree registration in any kennel-club. The competitions with such limitation can not be considered as sport and are not concerned to the events of the international sporting cynological movement. 5. Cynological sport is a part of world culture. 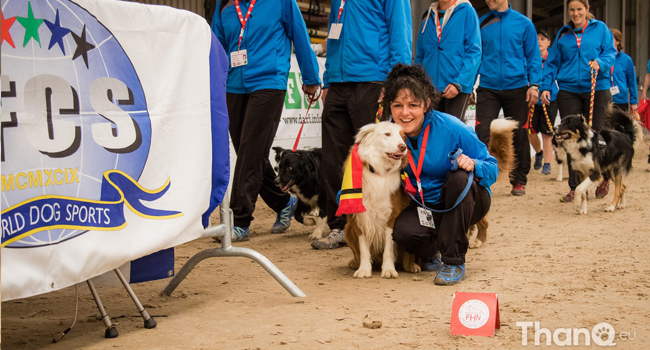 We respect cultural traditions of every country and support development of national kinds of sport with dogs. 6. We build our co-operation on the basis of rights and legal interests of every participant of international sporting cynological movement. 7. The culmination of development of the international sporting movement is an inclusion of cynological kinds of sport into the program of the Olympic Games and regular holding of World Cynological Games. 8. The present Declaration is open for signing by any national sporting cynological organization. The organization which has signed this Declaration becomes the participant of the international sporting cynological movement and has to observe the principles of the movement. 9. The text of the present Declaration is drawn up in English and Russian. Both texts are equivalent.